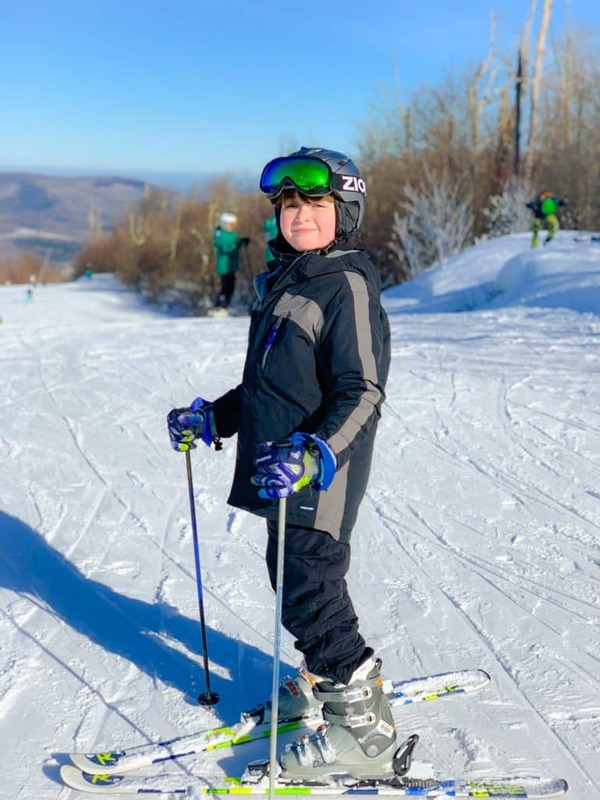 Last year my family visited Windham Mountain Resort for the first time and were introduced to a whole new world! 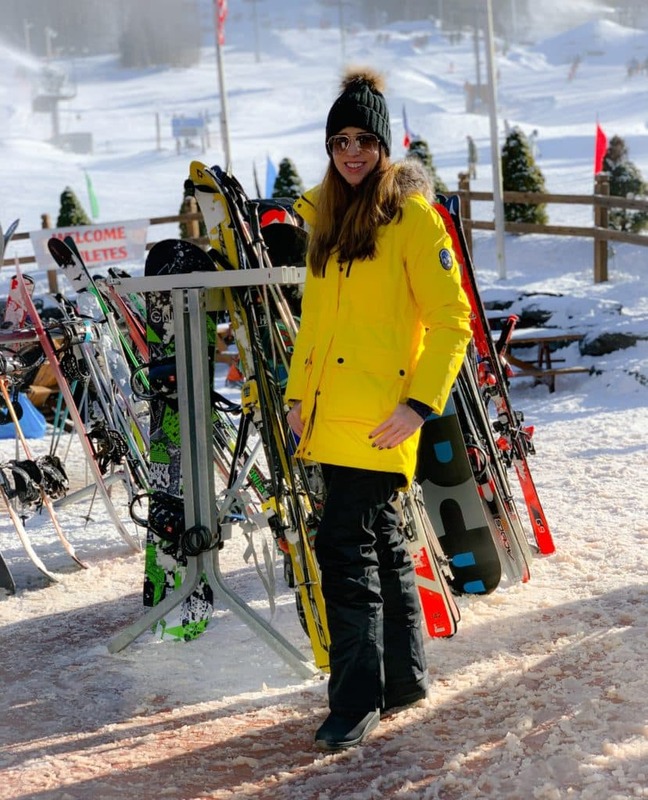 We never really considered cold weather activities and neither my husband or I had snow skiing experience, but we decided to give it a try and I’m so glad we did! 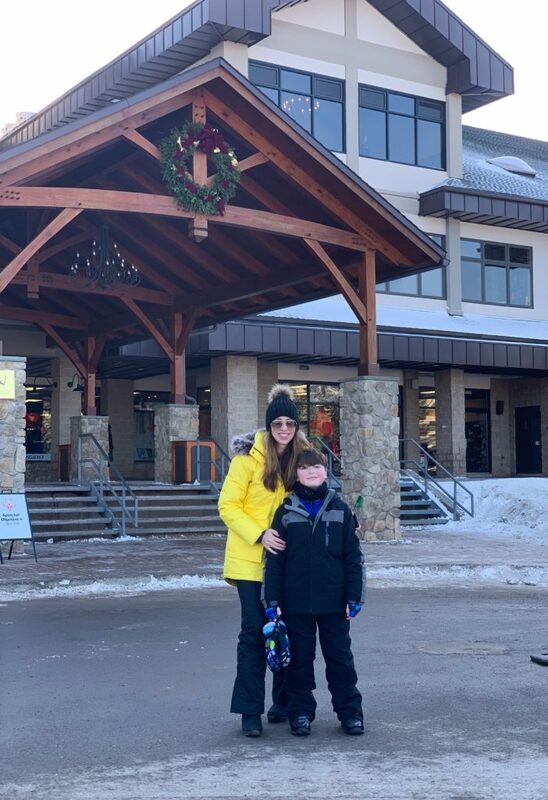 Our family stepped into ski boots for the first time and this past weekend we had the opportunity to visit Windham again! 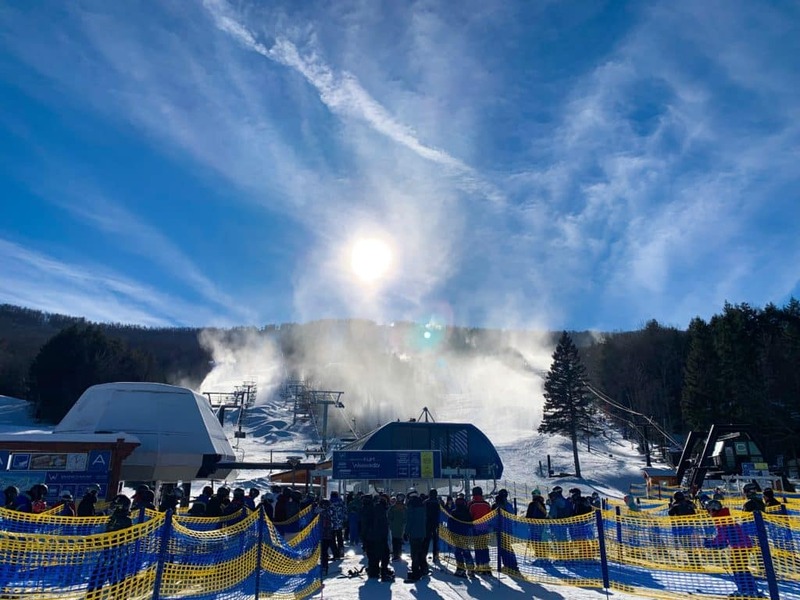 Located in the beautiful Catskills, Windham Mountain Resort is just a 3 hour drive from our home in lower Manhattan. 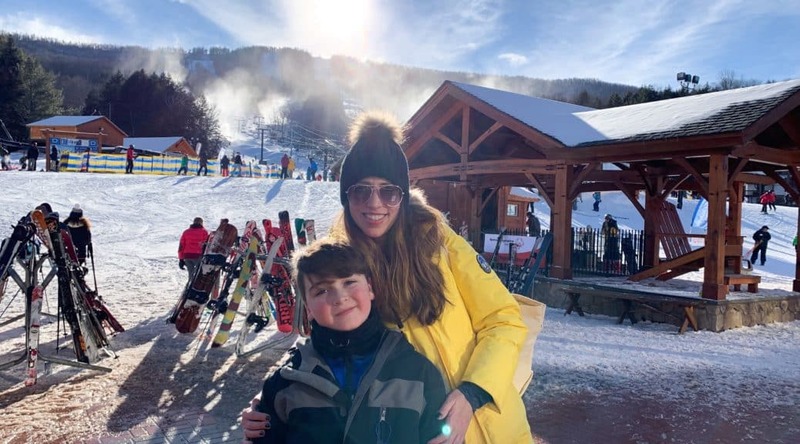 It’s one of the closest ski resorts to the city which is a major advantage, especially if you have small kids who don’t like to be in the car too long. 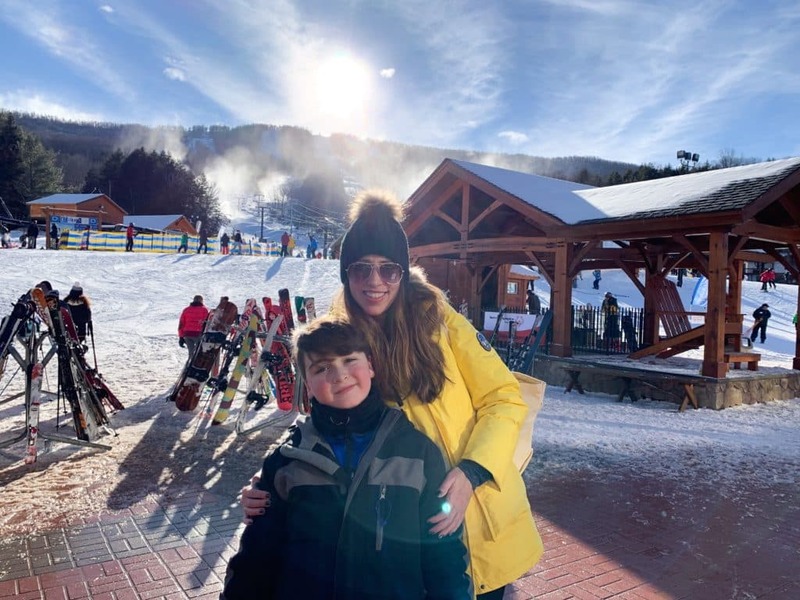 I feel so lucky to be within driving distance of such an amazing resort with activities in every season! Luckily this time I had a better grasp on what kind of clothing and gear to pack. 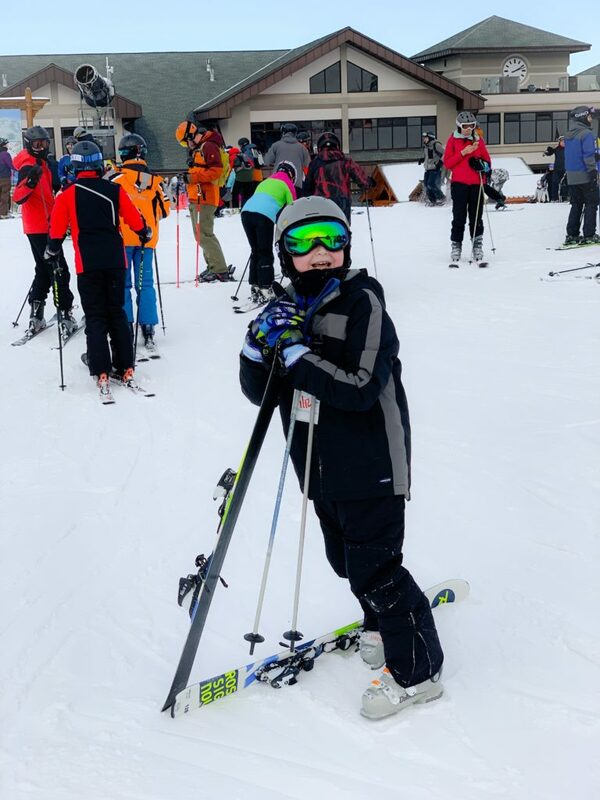 If you are by any chance going skiing for the first time this season, please take a look at Windham’s tip sheet for beginners! It will really come in useful and I don’t want to see you on the mountain in jeans like my husband was last year! I packed more food than I typically would since we were planning to stay at an Airbnb . I stocked up on the essentials + a few extra “junk food” snacks I knew would keep my crew happy. You can never have too many snacks right? 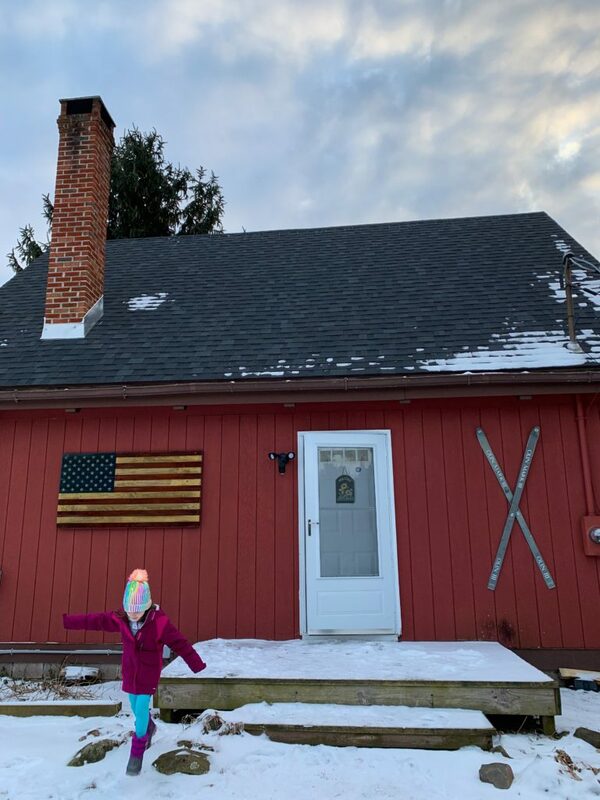 We arrived on Friday night just in time for dinner in downtown Windham and shortly afterwards we arrived at the Cozy Catskill Chalet. This was the first time my family has every stayed at an Airbnb. To be honest, we have run into a space issue lately with 3 kids and 2 adults in a typical hotel room accommodation. I find it more necessary than ever that we have a little extra space…especially during vacation! We spend enough time on top of each other in our NYC apartment, so an Airbnb is the perfect solution for us! My kids were a little thrown off at first when we didn’t arrive at a traditional hotel, but quickly adjusted when they saw the separate rooms and extra space! The mountain views and hot tub were also extra points! 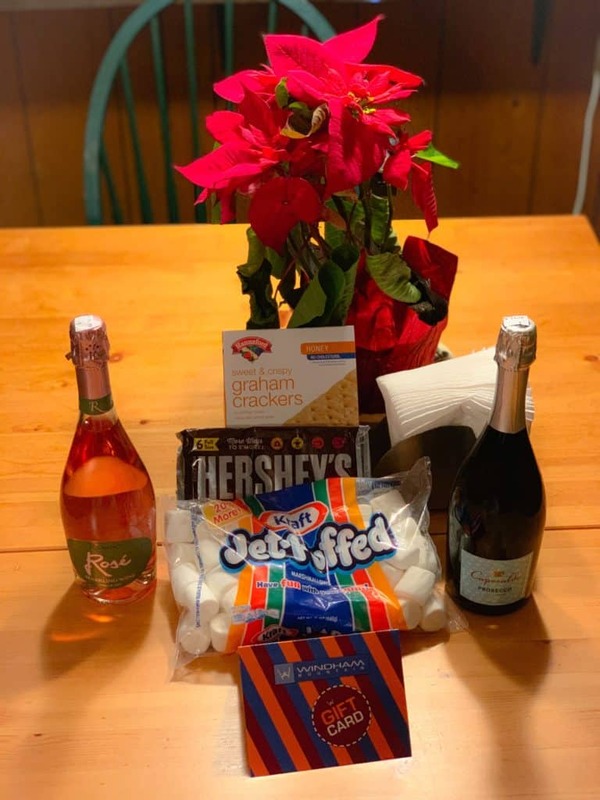 Our warm welcome gift of smores and wine was a win for everyone! 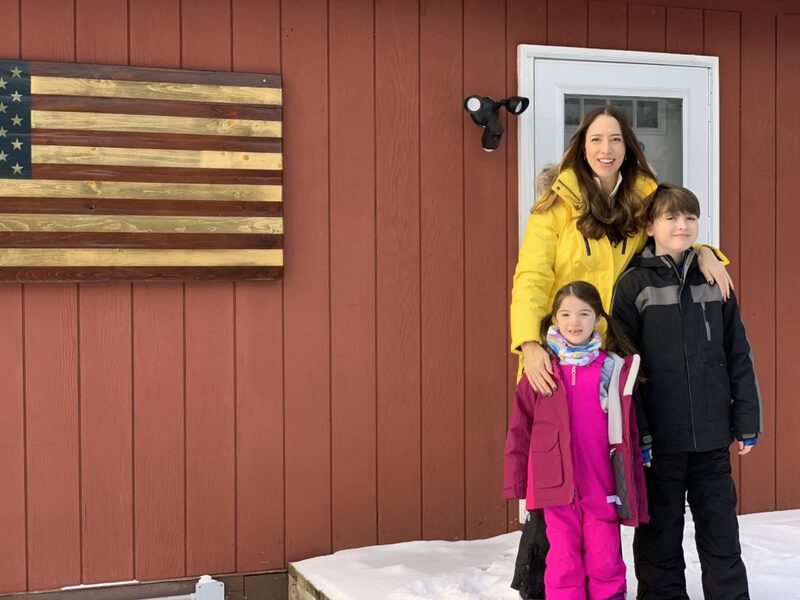 Thank you Cozy Catskill Chalet for making our stay so enjoyable, warm and inviting! 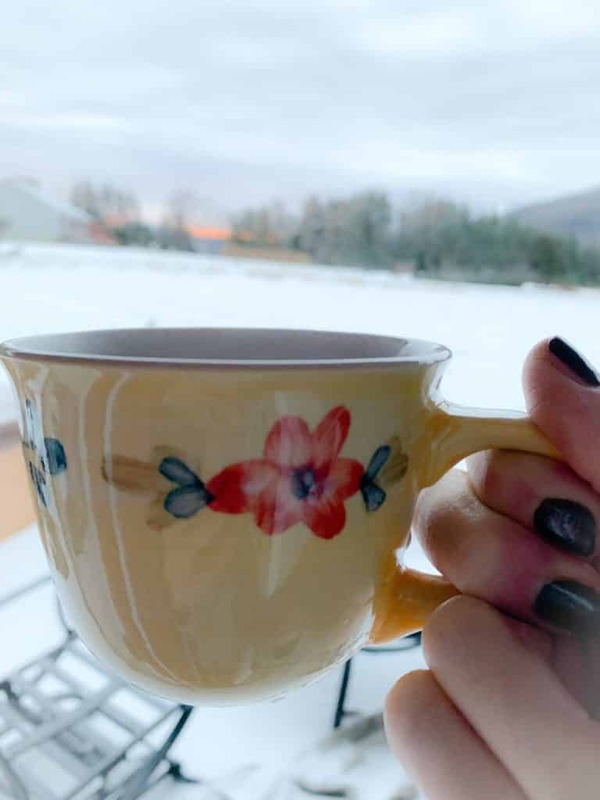 The European style Cozy Catskill Chalet was literally a 5 min drive to Windham. It was so conveniently located and made things really easy for drop offs and pick ups. After all, when you’ve been on the mountain all day, there’s nothing better than getting back to home base as quickly as possible. 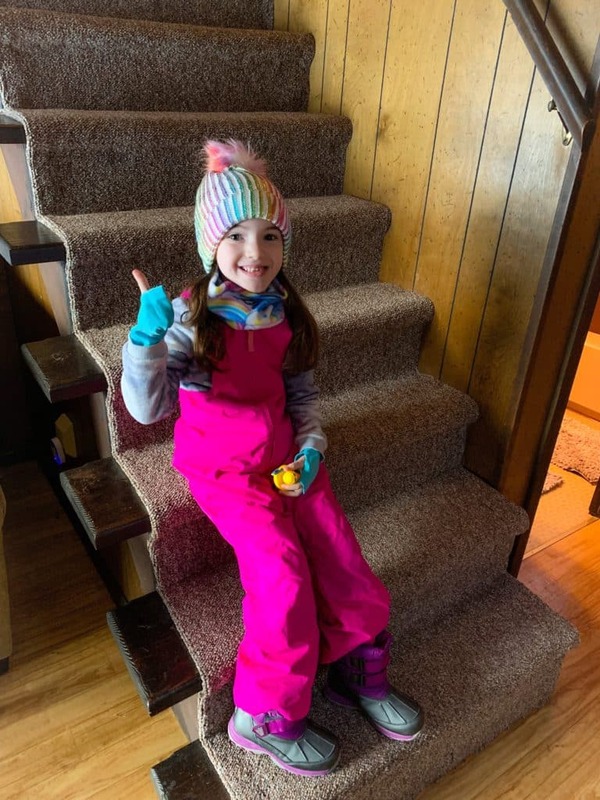 My 5 year old daughter is still at the age to be enrolled in a ski school program. 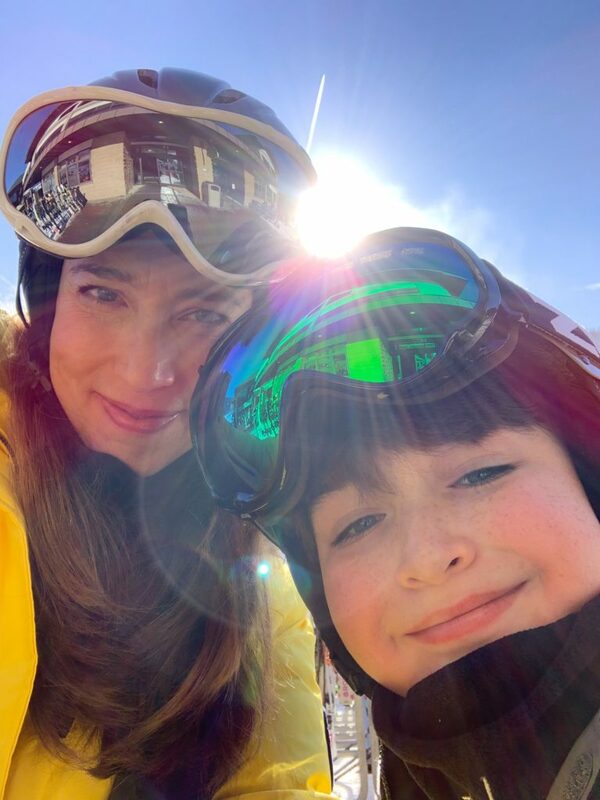 I’m learning how important it is to get your kids on skis EARLY. In fact, the earlier the better! 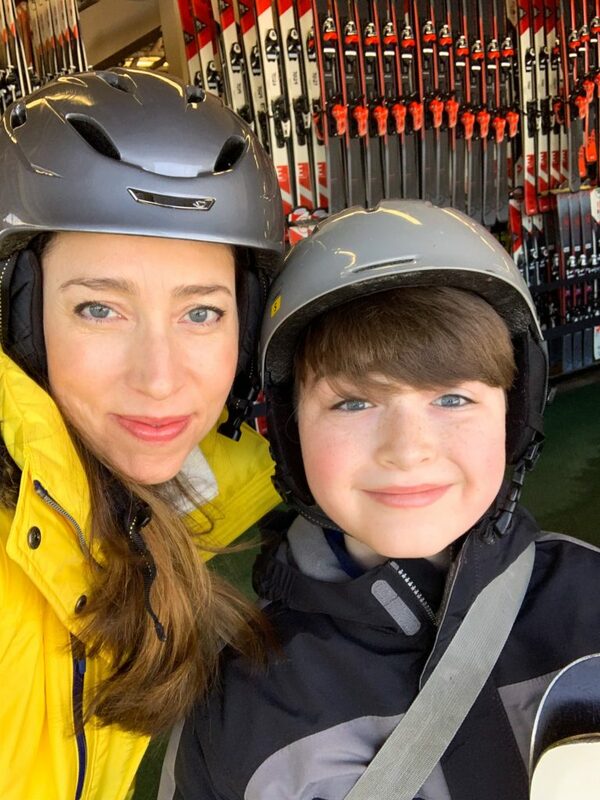 Yes, I am still a little apprehensive about having my daughter on a ski lift, but I also see it’s necessary to start while they are young. I made sure she had everything she needed, including the proper waterproof gloves and warm layers. My son and I opted for group lessons which are offered twice a day on a first come first serve basis. 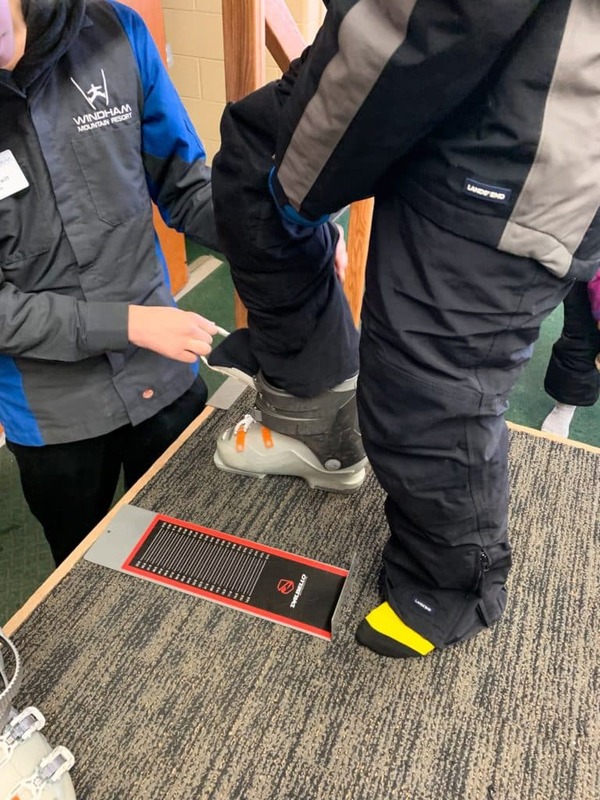 Our check in process was so much easier this season because 1) we were already in the system and 2) Windham has streamlined the process to make it as simple as possible. 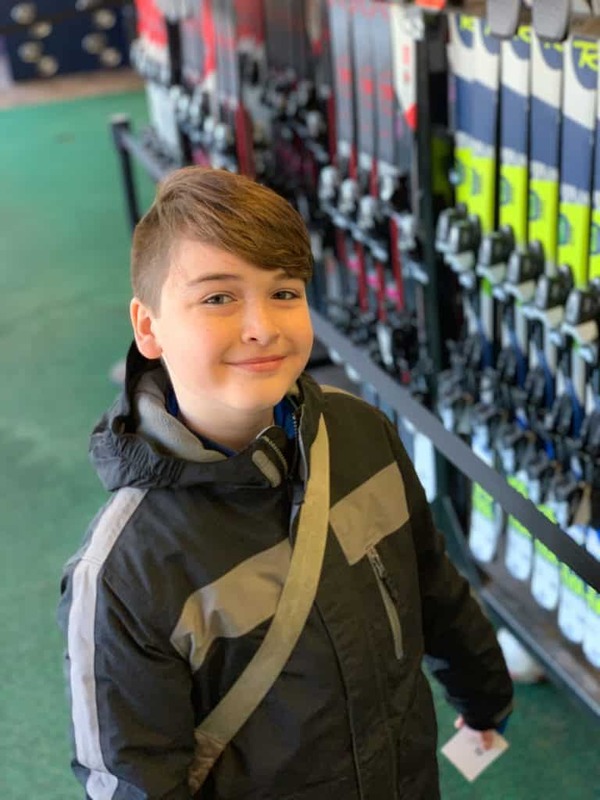 Once we went through the line to get our boots, skis, helmet and poles, we were off to our lesson. 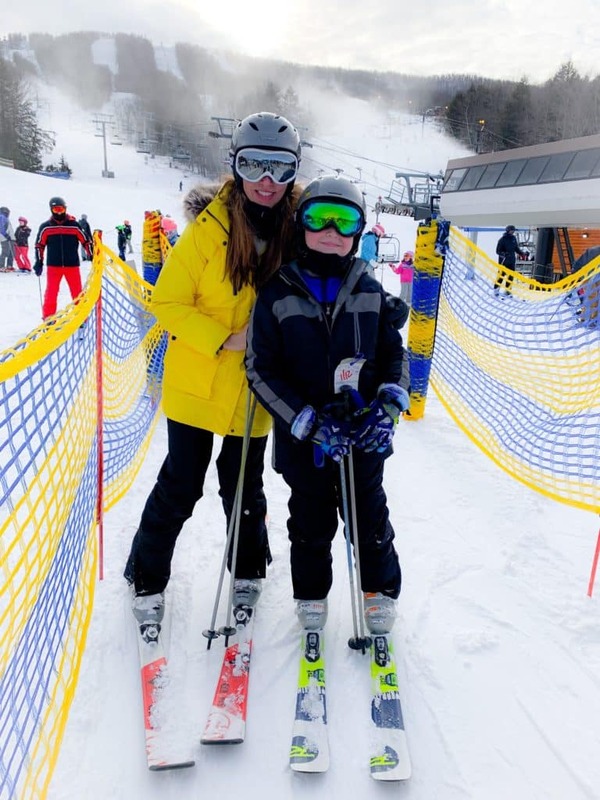 There’s a separate lesson for kids and we both moved up to the intermediate level this season. Yeah for us! The group lessons are incredibly helpful in working out any issues or questions you may have. 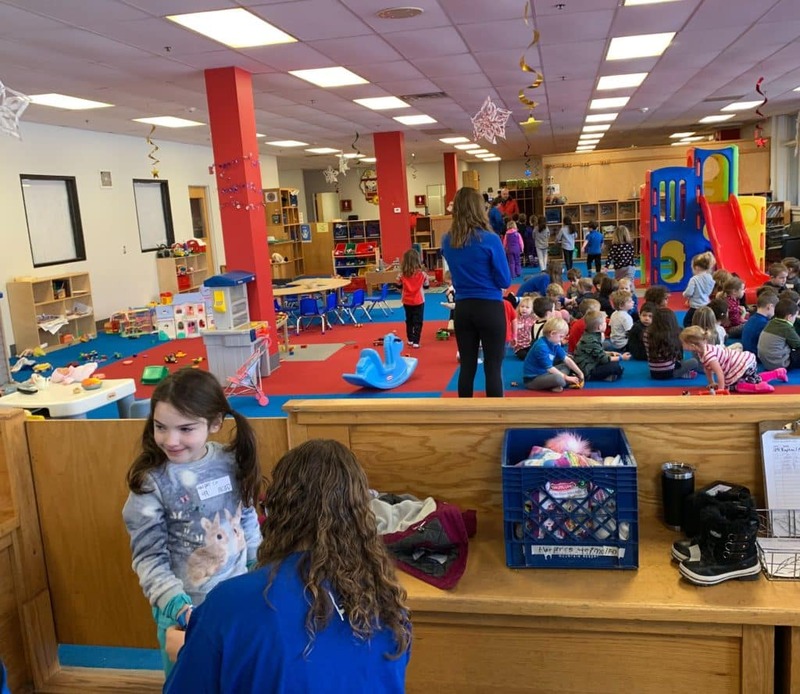 Everyone in the group is approximately on the same level and by working in a group environment it’s easy to work on a skill you may otherwise be a little nervous about trying on your own. 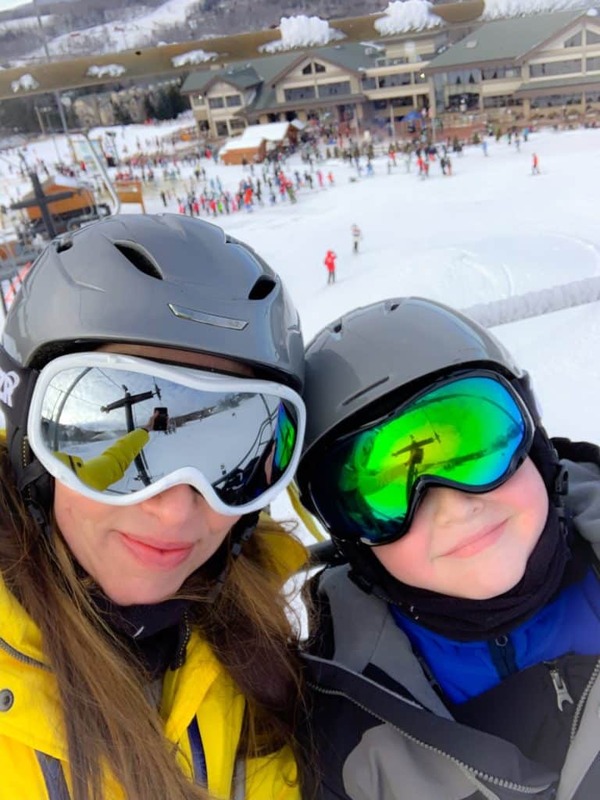 Clearly there’s so much more to skiing than just getting down the mountain and as a person who has started later in life, I need all the help and tips I can get! 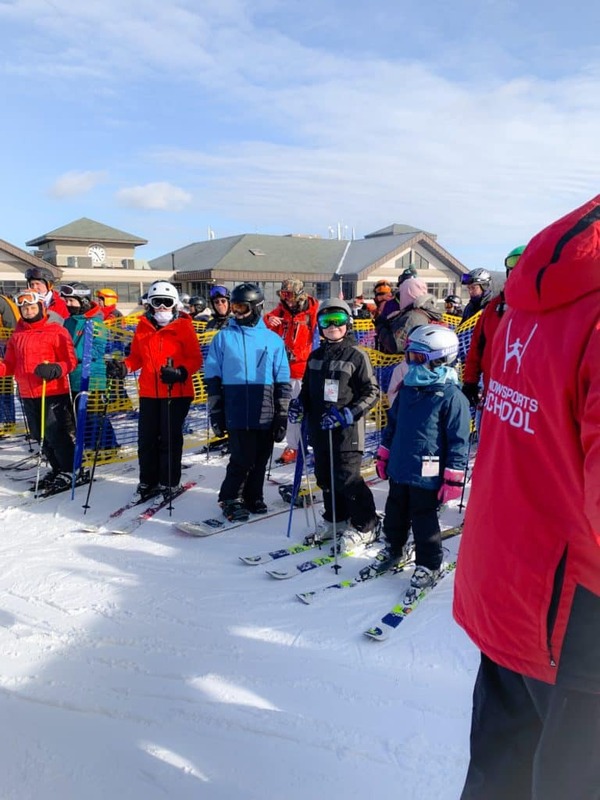 The instructors at Windham are incredibly knowledgeable and helpful and I can’t say enough good things about them! After our one hour and 45 min group lesson my son and I met up and decided to hit the trails on our own. 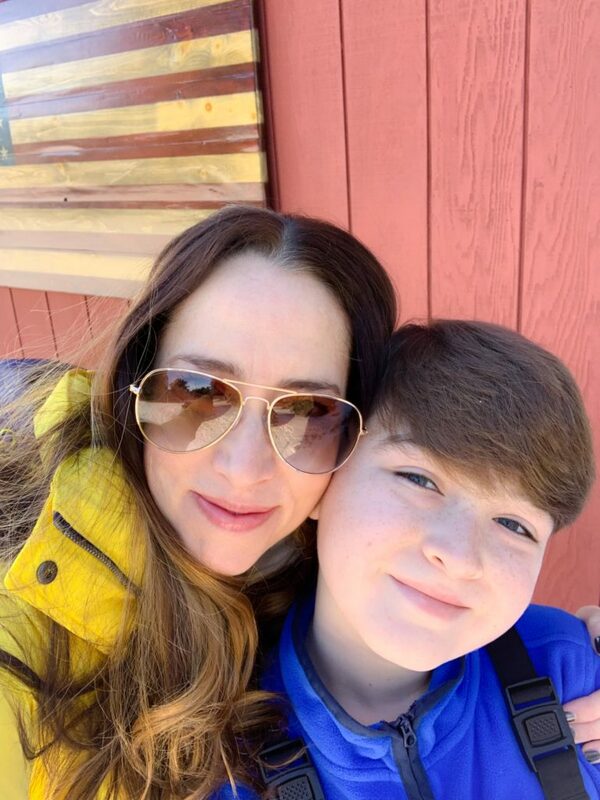 It was so nice having this time with my son because in all honesty the past few years my husband has teamed up with him to do the “boy things” and I with my daughters doing “girl things”. I’m so glad we’ve now found something to share together that we both like. My son completely impressed me more than ever this weekend! He was fearless and persevered through every obstacle and challenge he faced on the mountain. 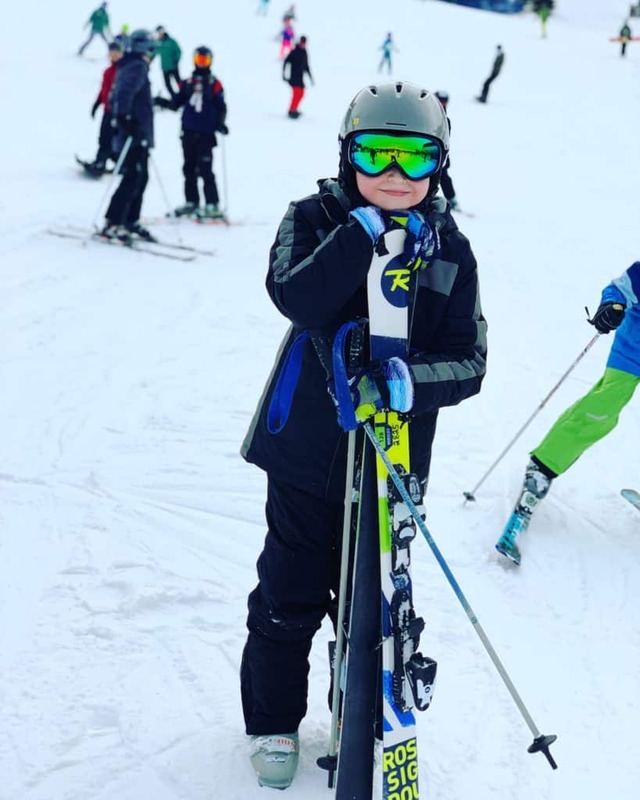 Skiing is a sport where you basically have to compete with yourself. If you fall, you have to pick yourself up and keep going until you get to the bottom. Last season I would wait and wait at the bottom for him to come down with my phone in hand waiting to snap photos, but guess what? This year he was waiting on me! 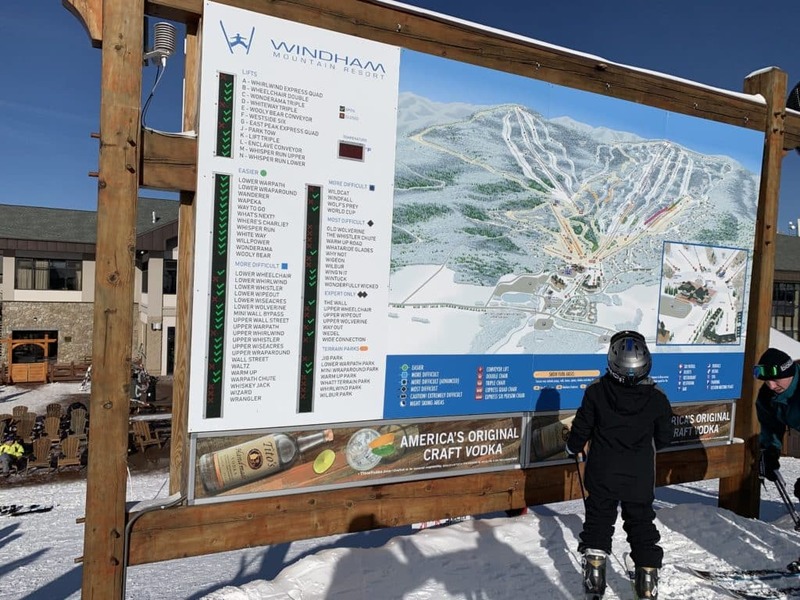 The Windham Mountain Resort is ready for skiers! 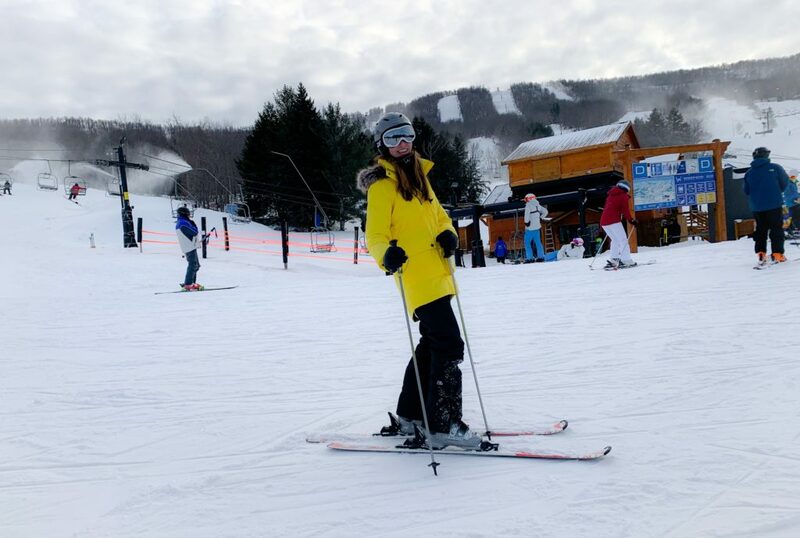 They offer the most skiing you will find within 200 miles of NYC which is another reason it’s so popular. I saw bus loads of people getting dropped off each morning with eager kids and adults. The website is updated daily with important information regarding open trails and conditions. While I’m just learning about all of the lifts, trails, and terrain, it’s good to have a resource. 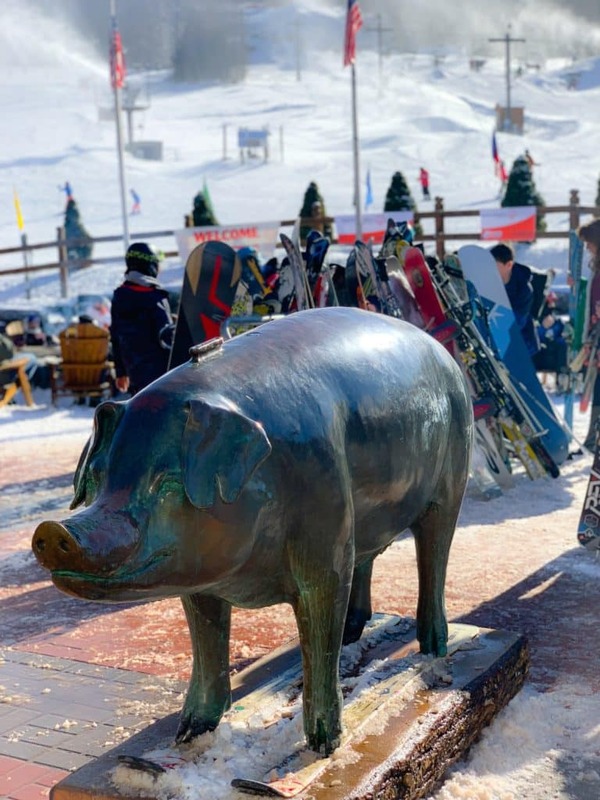 Windham also offers more than just skiing! 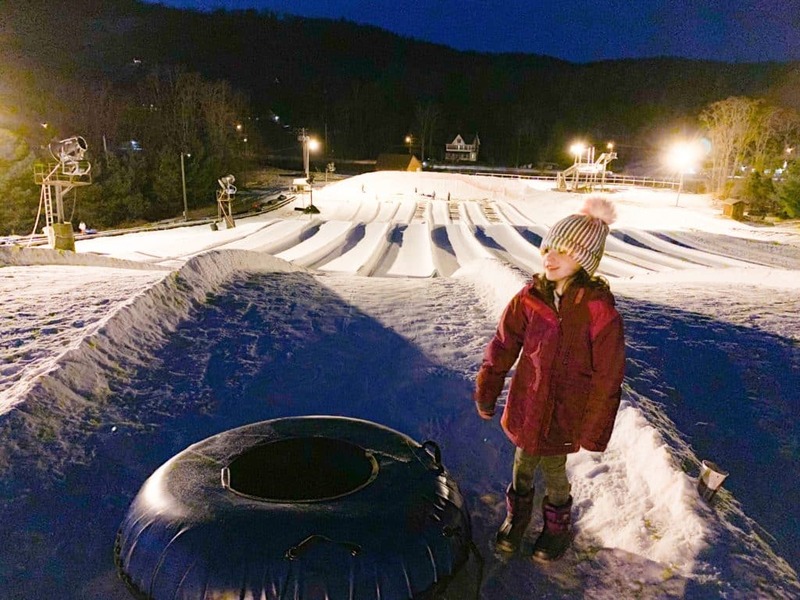 Tubing and snowmobile fun are also available at the Windham Mountain Resort Adventure Park. 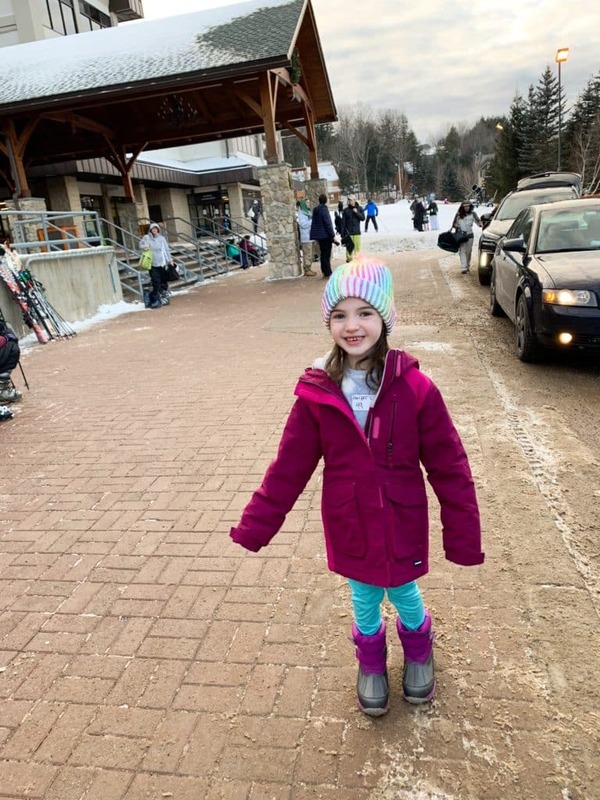 My daughter absolutely loves to go snow tubing, so even in frigid conditions she enjoyed herself going down the hill over and over. There is a convenient conveyor belt which helps get back up the hill. Love this! I definitely feel like I’ve discovered something that was missing in my life and now that I’ve found it, I want to visit over and over. 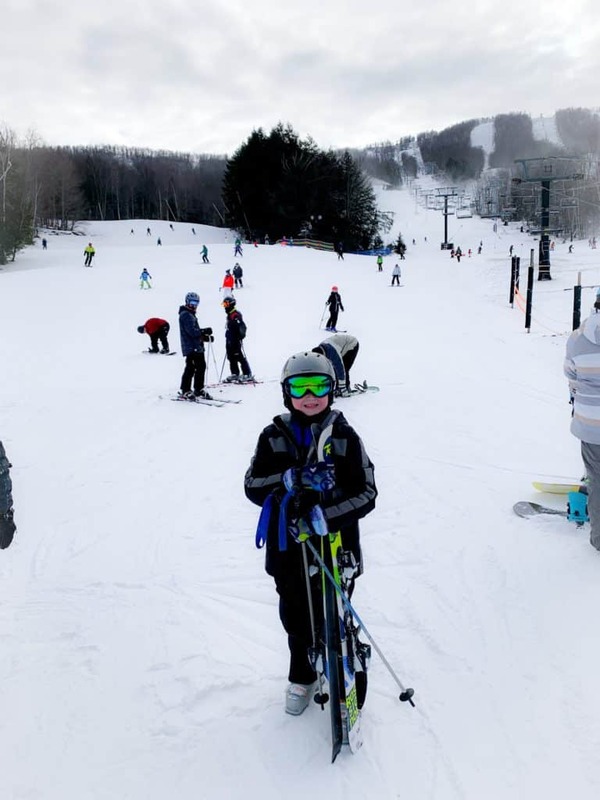 Thank you Windham Mountain Resort and Cozy Catskill Chalet for a most enjoyable Winter Family Getaway with my family!